A refreshing summer cocktail made with watermelon, vodka, moscato and mint. 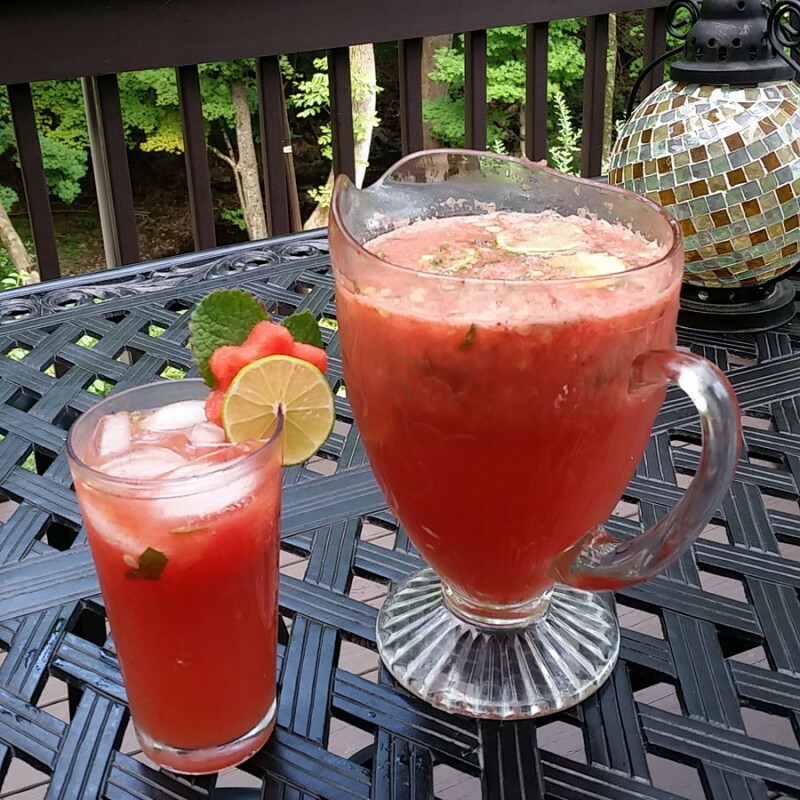 In a blender or food processor, blend watermelon, lime juice, vodka, moscato, and chopped mint. Pour in a pitcher with ice and lime slices. To serve in a glass, pour over ice. Cut a slit in the lime round and watermelon slice and place on the glass edge with mint sprig.